People have been gossiping about kilts for decades now. And honestly, we really can't get into it. It's too controversial. 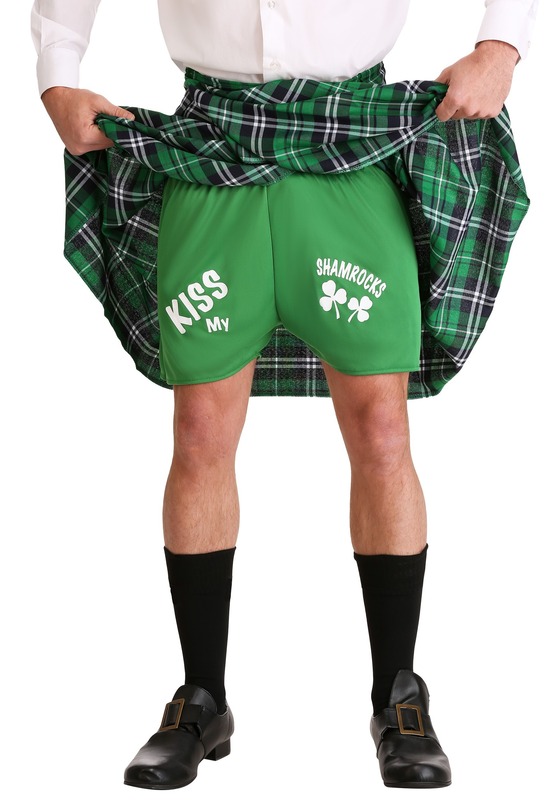 So why don't we just focus on the fun you can have when you're rocking a kilt. When you're heading out in a Celtic manner, you have to be ready to have fun. Celtic games get pretty crazy. For instance, do you happen to have a spare skinny tree trunk hanging around? Try balancing said trunk on your hand and throwing it as far as possible. You've just tossed the caber! Or maybe try competing with your friends by throwing a bundle of straw with a pitchfork... wait a second. Are Celtic games just a way of tricking partygoers to do farm labor? We got you now, Celts! The jig is up! 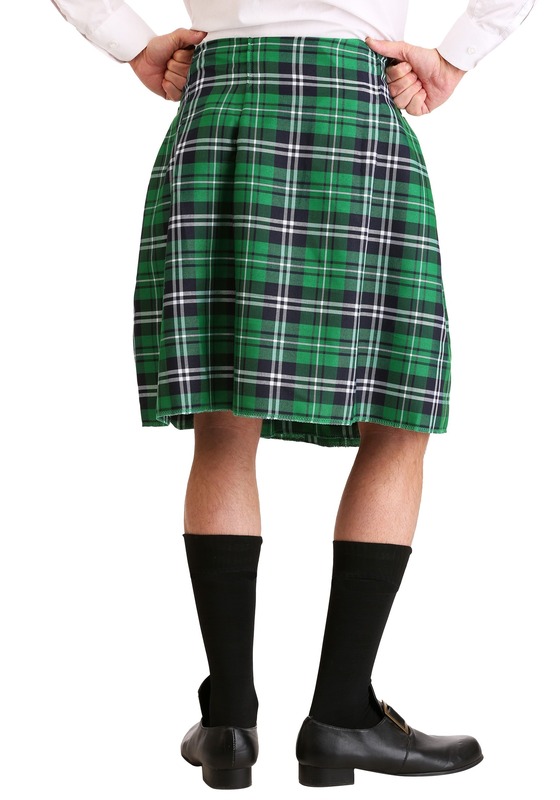 This is no common kilt. 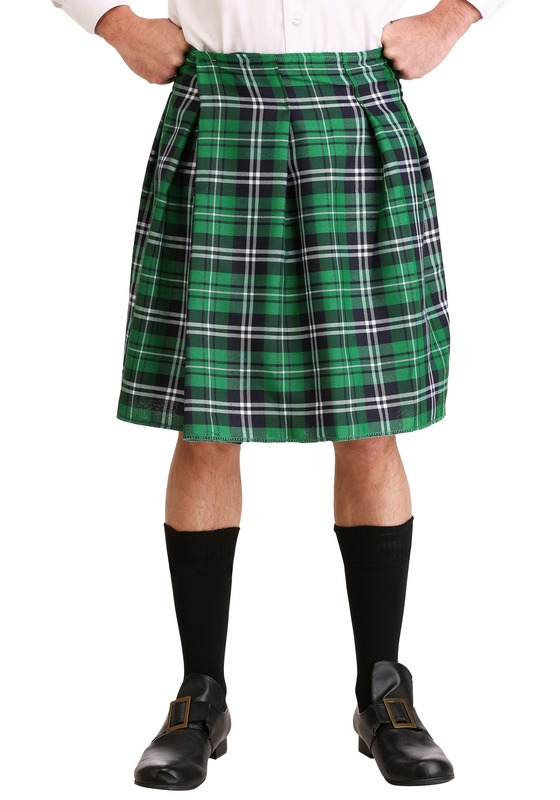 Perfect for fun Saint Patrick's Day events, this green plaid kilt is layered over a hilarious pair of boxers attached to the kilt. It has a hook and loop fastener at the back to make sure changing into this costume is quick and easy. Pair it with a pair of high knee socks and a Celtic brogue and you'll be ready to have the best Saint Patty's Day ever!